The general objective of the BioCompBar Project was to develop a flexible film for biobased and compostable food packaging, in accordance with the new legislation regarding plastic bags for packaging. The film had to have good optical properties and present barrier properties to mineral oils (MOAH, MOSH and POSH). Additionally, it should be manufactured in extrusion lines typical of CPP and/or BOPP films, so that its production does not require investment in new production lines. The investigations have been carried out between 2017 and 2018 and have included tests, both in an external pilot line and in an industrial line of the Narón plant. The results showed that the materials evaluated in the framework of the project present significant differences in flow with respect to the usual polypropylene (PP) mixtures, which makes it difficult to obtain a solid film. 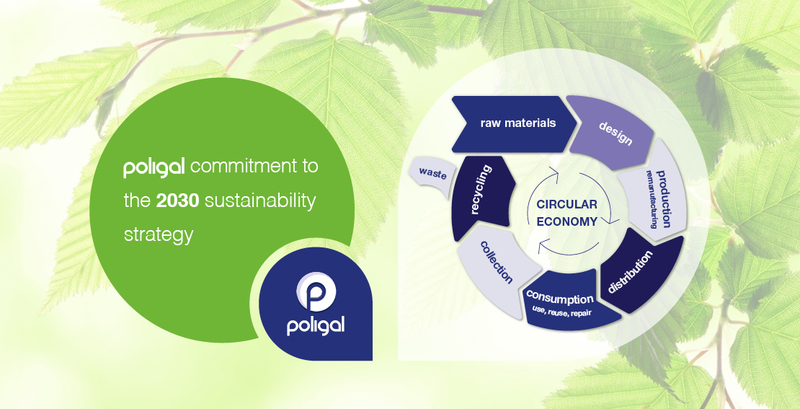 Poligal continues to work in this line of research to obtain a marketable biobased and compostable product.